I took this picture a couple of years back but truthfully, only really looked at it closely this week. I was visiting Portsmouth Dockyard and had sat down for a quick cup of coffee between ship-spotting. Imagine my surprise when I spied a Tardis in my orbit! 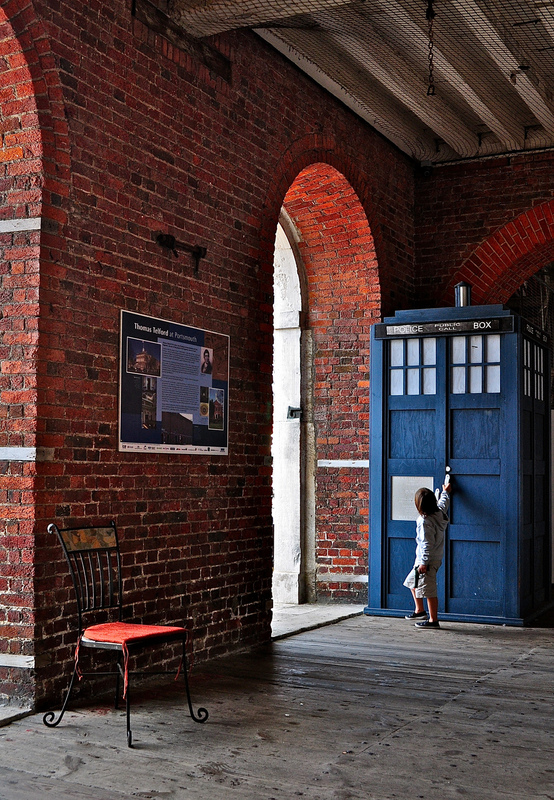 As a Doctor Who fan, it certainly drew my attention but more to the point, I loved watching all the little rug rats race over to it and try to open the door. They couldn’t of course, The Doctor had locked it! Their excitement was palpable however. I have been told that the various Tardis in the BBC series are made by a company in or around Portsmouth so there are often quite a few of them around. I don’t know if that’s true. I prefer to dream however and pretend Doctor Who himself dropped in solely for a cuppa … for when I revisited this year, the Tardis had gone. Happy 50th anniversary, Doctor.